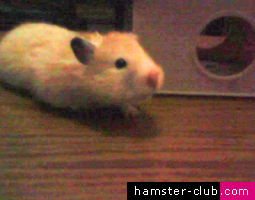 This is my adorable hamster.. FELICITY. I named her Felicity, since she makes me happy and felicity means joy or happiness. She's my 6th hamster and the best so far.. Why best? Because my 5 previous hamsters .. I didn't get to handle them since I was scared of hamsters before and I got them when I was 3rd grade, so I didn't know much..
Now I'm in 6th grade I know how to take care of a hamster. I bought everything she needs and everything she wanted but sadly she's already a year old. I got her 8 months ago and I fear the end of our relationship.